Based in New Delhi, we offer a plethora of landscaping services and solutions to our esteemed customers. Standing with our clients at all stages of any landscaping project, be its development, implementation or management, we at Greenstar Landscape provide means for your dream landscape to turn into reality in the most structured and feasible of ways with the help of our qualified team of more than 20 personnel and a labour force of almost 500 workers. Instead of making every corner look the same, we strive to work on the comprehensive look your landscape emits. Standing with our clients at all stages of any landscaping project, be its development, implementation or management, we at Greenstar Landscape provide means for your dream landscape to turn into reality in the most structured and feasible of ways with the help of our qualified team. Instead of making every corner look the same, we strive to work on the comprehensive look your landscape emits. We offer four different sorts of gardening services- Vertical Gardens, Pots and Planters, Terrace Gardens and Balcony Gardens. Our other services include landscape management and maintenance, hard and soft landscaping, green walls, irrigation, lighting and constructing water bodies. These services can be availed for both residential and commercial purposes. With Greenstar, you can sit back and relax as you watch your dream landscape being built, for we design, plan, construct, install and maintain all types of landscapes that are not only aesthetically pleasing but also environmentally friendly. 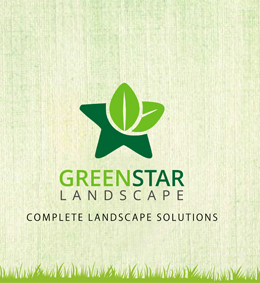 The name “Greenstar Landscape Private Limited” has grown exponentially in the landscaping business. Known to strive for perfectionism, the Greenstar family is determined to make the process of what and how they do flawless and perennial. The skilled workforce of architects provides a wide-array of services to their customers while the administration ensures the best management of the site. Our mission at Greenstar Landscape is to not only increase the value of our customers’ properties by designing, creating and sustaining qualitatively superior landscapes but also to implement projects that people envisage in their minds for their dream house, buildings, farms or gardens. We also believe in making this experience easiest, reliable and pleasant for our clients through the top notch services we provide. In the near future, we plan to continue our work towards making Greenstar Landscape the finest in the industry, with aid from our clients’ trust and support. Each step at Greenstar is taken to maximize the value of the investment of all individuals and companies. We envision a world where the Greenstar family provides the most extensive landscaping services and solutions for every person who requires it.